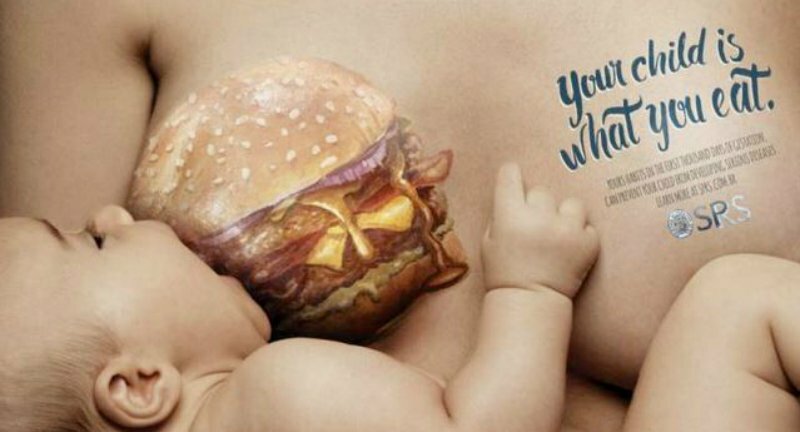 A new ad campaign in Brazil is using dramatic images of babies breastfeeding from women with images of junk food painted on their breasts. The idea is to caution women that their diet, good or bad, affects the health of their infants. In the clever photos, one breast is painted with a giant image of a cheeseburger, a cup of soda, or a sugary doughnut. The baby in the picture looks like he’s directly eating or drinking the junk food. 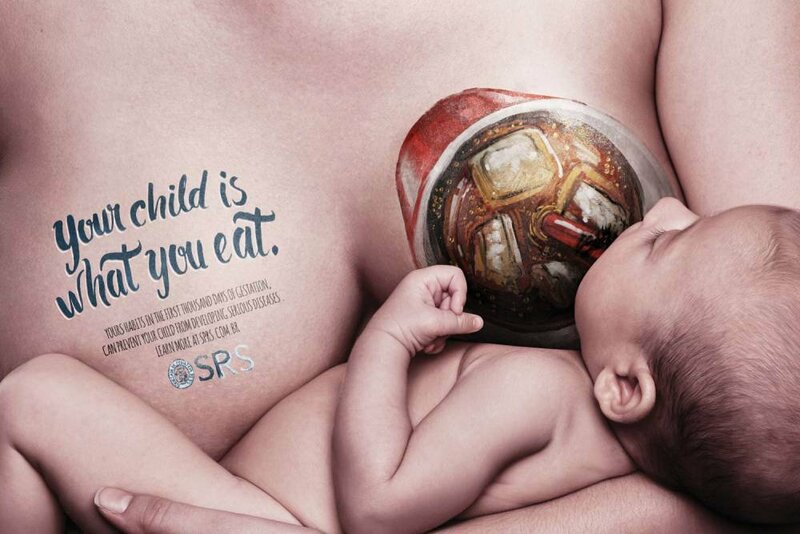 On the other breast, the message says, “Your child is what you eat.” In smaller print, it reminds women that “Your habits in the first thousand days of gestation can prevent your child from developing serious diseases.” A recent study showed that babies whose mothers have a poor diet may have immune systems that cannot fight off cancer as well as those of breastfed babies.